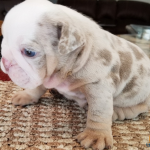 You can easily tell that bulldogs, especially the English Bulldogs are created to make the toughest hearts melt with their cuteness. 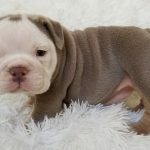 While bulldogs are characterized by their exceptionally large heads, underbites, upturned jaws, and cute wrinkles, you may notice that English bulldogs also come in different colors. 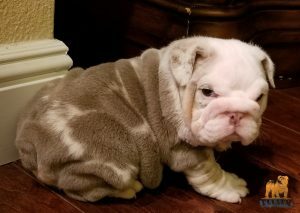 Another thing to love about bulldogs is their sleek coat. 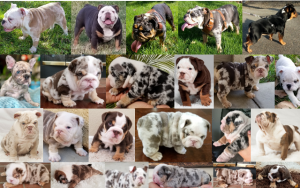 From the basic colors to rare ones, you can familiarize yourself with different options and appreciate the beauty and uniqueness of English Bulldogs even more. 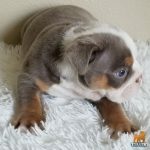 You will be amazed with the different base colors of English Bulldogs’ coat. Their coats are low-maintenance since they do not shed much yet that does not make it less beautiful. 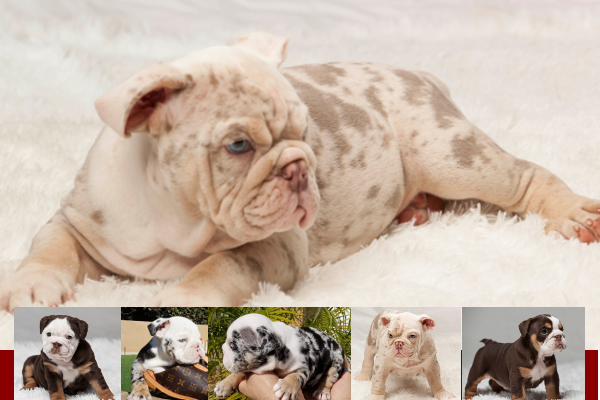 The main coat colors of English Bulldogs are fawn, white, red, brindle, and piebald. 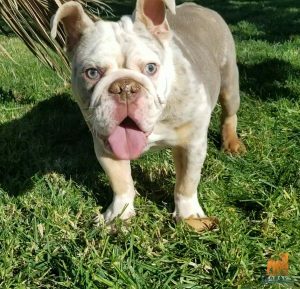 Celebrities who own fawn bulldogs are International model/ photographer/ author/ talent agent Janice Dickinson, Austin Powers Mini-Me Verne Troyer, and the most decorated swimmer Michael Phelps. 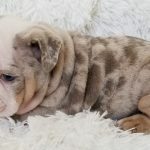 White bulldog celebrity owners include singer-song writer Pink, Will Smith’s daughter Willow Smith, and Multi-awarded singer Chris Brown while legendary singer John Legend, former Pussycat Dolls lead singer Nicole Scherzinger, and controversial singer Ashlee Simpson own red bulldogs. Beautiful Black. 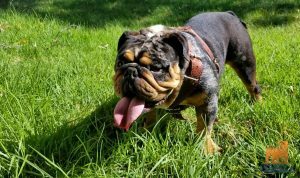 Black is beautiful and black English bulldogs are definitely beautiful. 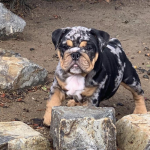 Black bulldogs have varieties of black tri which can be a combination of black, tan, and white, black bi seal which is a combination of black and white, combination of black, white, and brindle, black merle which is a combination of white, brindle, and black, and tri black merle. 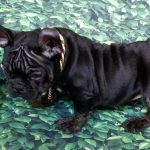 Celebrities who own black bulldogs are Reese Witherspoon, Carrie Fisher, and Zac Braff. Beguiling Blue. 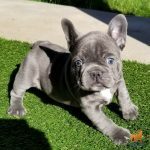 You will never be blue with these cute bulldogs. 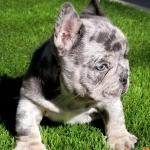 Basically, their blue color is from the diluted black and its variants are blue tri which is a combination of white, blue, and tan, blue bi seal which is a combination of white and blue, blue platinum which is white with fawn or gray markings at 10% or less, blue brindle which is a combination of white and gray, blue merle which is a combination of fawn markings or gray brindle, and blue merle tri which combines white, gray, and fawn markings. 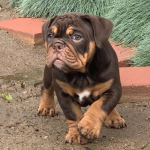 Popular people who own such bulldogs are MMA Fighter John Fitch, Wrestler Dwayne “The Rock” Johnson of Tooth Fairy, and Jason Priestly of Beverly Hills 90210. Charming Chocolate. 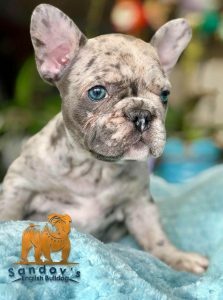 Chocolate English Bulldogs have variants of chocolate tri, chocolate bi seal, chocolate and tan, chocolate platinum, chocolate brindle, chocolate merle, and chocolate merle tri. Celebrities who love chocolate English bulldogs are Tyler Posey, Diego Boneta, and Brendan Gallagher. Lovely Lilac. 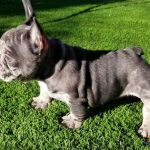 Lilac is subdivided into lilac tri, lilac bi seal, lilac platinum, lilac and tan, lilac brindle, lilac merle, and lilac merle tri. President Barrack Obama, Ryan Gosling, and Keana. The rarer the color, the higher the price. 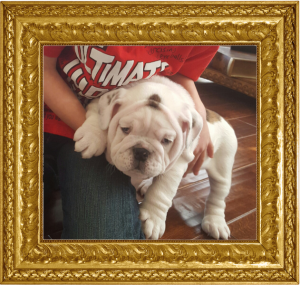 However, no matter what the color is, English bulldogs will always be loved and appreciated all around the globe. I have a 7 month old Lilac Merle Tri, Handsome young man. 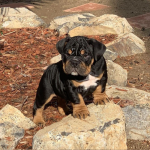 What would his stud fee run,once he is cleared? Thank you! 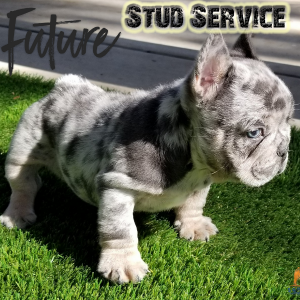 Hi, the stud fee is all depend of you what quality of puppies does your dog throw, obviously according the female, best regards.